We are often asked by new readers about how they can add topics in their WordPress navigation menus. Most users assume that they need to create pages for each topic and add them to menus. However if you do that, then you won’t be able to display relevant posts there. 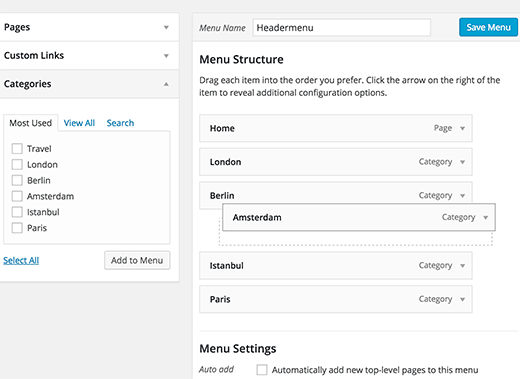 In this article, we will show you how to add topics in WordPress navigation menus without having to create pages or writing any HTML code. 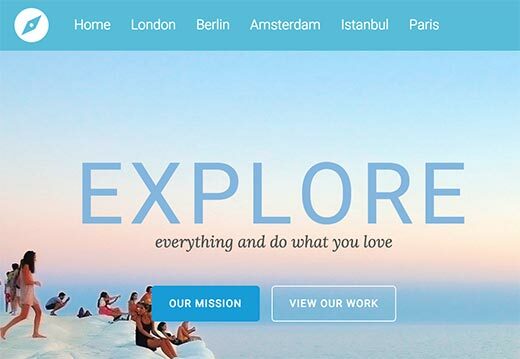 Let’s say you want to create a website about traveling guides for different cities. You may want to add city names in your navigation menu and show relevant articles when users click on that link. This is where categories come in. WordPress comes with a powerful built-in system that allows you to sort your content into taxonomies. By default, you have two taxonomies ready to use with your posts. These taxonomies are called categories and tags in WordPress. Categories are hierarchical, and they are supposed to be used for a broader range of topics. Tags are non-hierarchical, and they can be used to sort articles for very specific topics. We recommend you to read our guide on the difference between categories and tags. You can add or select categories while writing your blog posts. The categories meta box will appear on the right column of the post editing screen. Once you have created a few posts and filed them under different categories, you can now add these categories into your site’s navigation menu. Simply visit Appearance » Menus and click on the categories tab to expand it. Next, select the categories you want to add to the menu and then click on Add to menu button. Your selected categories will now appear in the right hand column as menu items. You can move them up and down using drag and drop. Once you are satisfied with the menu, click on the save menu button to store your changes. You can now visit your website to see your changes in action. Since categories are hierarchical this means that they can have parent and child categories. 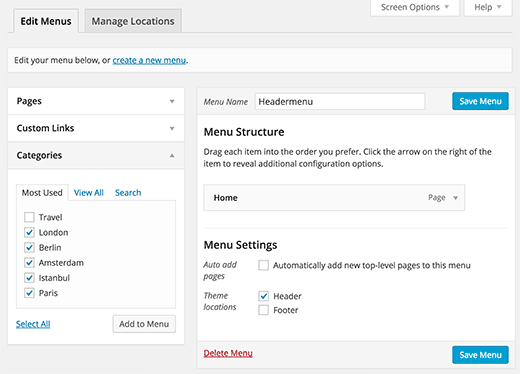 Most WordPress themes support multi-level menus. 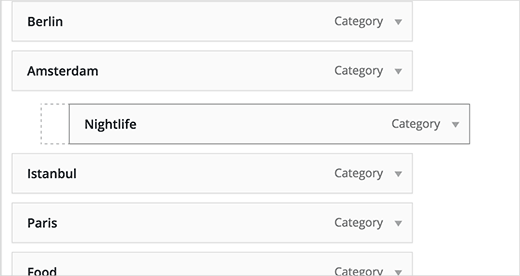 If you are using sub-categories, then you can easily add them under the parent category by moving them slightly towards right. This way you can create awesome drop-down menus that could cover all your important topics. This will also help your users quickly find the information they need. 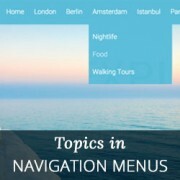 We hope this article helped you add topics in WordPress navigation menus. 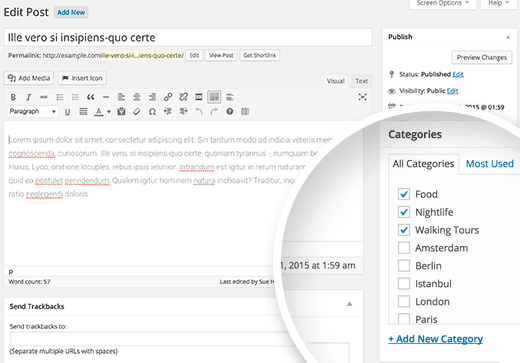 You may also want to see our tutorial on how to create category templates in WordPress. I Try this in WordPress 4.9.5 and see that have been problems. This problems is about the Read More that not work. In two installation i have problems, in one is that Read More not show in the page, don´t appear. In other installation with template Access Press Store, the default way off the theme show the page with the posts with one Read More button without you have been put it there, the button show automatically but without link the button not open the post simply refresh the page. I’m investigate this and don´t exists plugin for fix this because in whatsoever result the same problem repeat if you force and put other inside the text don´t work , don´t show…. Nice information but I want to post content under the page…. So, any suggestions. wordpress display posts from specific category on page? Just the information I needed in a simple concise format. Thank you. Your site is helping me feel more in control of my WordPress site rather than the other way around. So timely. I was struggling to know the best way to sort the information on my website and this is exactly what I needed to know. Thanks!